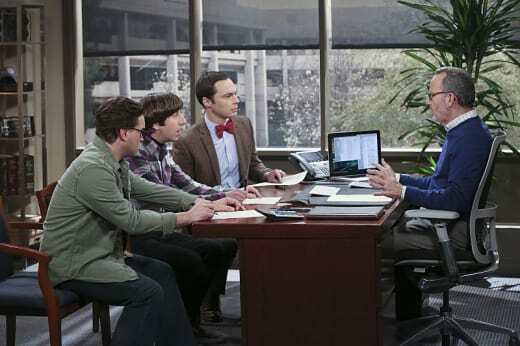 Is it really a good idea to enter into a binding contract with Sheldon Cooper? 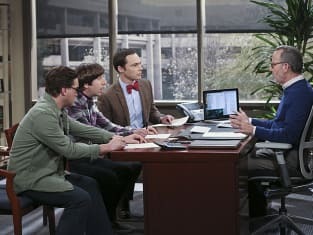 On The Big Bang Theory Season 9 Episode 18, Sheldon, Leonard, and Howard run into a problem trying to get a patent for their new idea, and their solution involves the chance for Sheldon to draft a contract. You certainly can't blame Bernadette for being cautious. She serves as Howard's voice of reason, which reminds me once again how much I love these two as a couple. Even Howard can't deny that her concerns are logical. And her biggest concern has to do with his emotional well-being. Okay, not exactly. It's more about hers, which she isn't afraid to say. She doesn't want to hear Howard complain about how badly Sheldon treats him any more than she has to. That boils down to the fundamental problem in Sheldon and Howard's friendship, which has also always served as a running joke. Sheldon thinks Howard is lesser than he is because Howard doesn't have as high of a degree. Penny's solution seems simple enough. In fact, it almost seems a little too simple. She suggests a clause that would prohibit Sheldon from making fun of Howard. Of course, if it's in a contract, Sheldon has to abide by it. This is the guy who takes his roommate agreement very seriously, after all. Even though Sheldon is difficult at times, he's learning to become better. In fact, as a nice gesture, he offers part of his profits from the deal as a way to begin a scholarship for Howard and Bernadette's a child. It's really sweet and thoughtful, and it's those little details that prove how Sheldon's character continues to grow. Meanwhile, Raj deals with some Emily drama that leaves something to be desired. It's a storyline that feels a lot like filler, except for being a way to bring Emily back into the picture. Emily knows she can manipulate Raj, and she's using that to her advantage. I don't trust her at all, and I'm worried she's going to do something really terrible to Raj. More importantly, I'd like to get away from relationship drama on this show in general. We've gone through fighting between Leonard and Penny, a breakup between Sheldon and Amy, and now it's apparently time for Raj to have to turn. It's exhausting. At least Howard and Bernadette are stable at the moment, and they have happy news with a baby on the way. Need to catch up on past episodes? 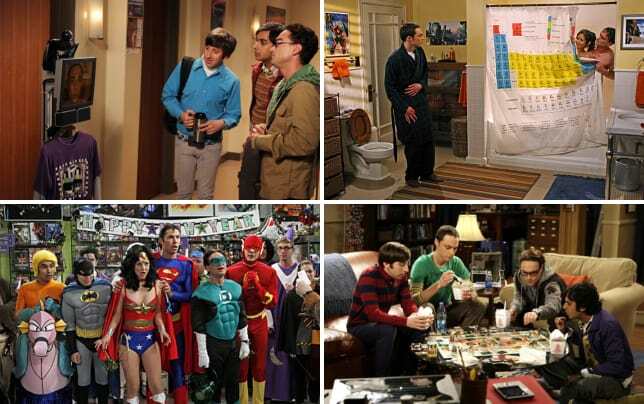 You can always watch The Big Bang Theory online right here via TV Fanatic! Watch online now! Penny: Sheldon, did you draft the contract? Sheldon: You bet I did. Penny [to Amy]: You're gonna make out so hard tonight. Permalink: You're gonna make out so hard tonight. Is the fetus helping you? Because that's cheating. Permalink: Is the fetus helping you? Because that's cheating.